More light will be cast on the new McLaren supercar when it is revealed online at 20:10 GMT on Saturday December 8, 2018. 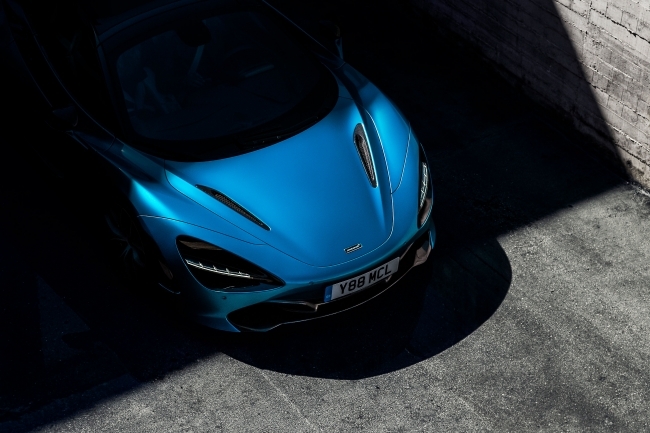 In July, McLaren Automotive announced an ambitious, wide-ranging business plan that will take the company to its fifteenth anniversary. Announced at Goodwood Festival of Speed, Track25 is an evolution of the Track22 plan that was first launched at the Geneva Motor Show in 2016 and the updated plan included significant new milestones. Track25 set out a clear roadmap for future vehicles, production and technology that will allow the brand to continue to position itself as a major global player in the sportscar and supercar market. At the launch ofTrack25, McLaren said it was committed to ensuring that its sportscar and supercar range will be hybrid within seven years. True to the spirit of pushing the boundaries of technology to benefit drivers, McLaren said it would evaluate new augmented driving features and help develop a lighter, superfast-charging, high-power battery system for performance applications that is expected to have over 30 minutes of electric range around a race track. You can follow https://cars.mclaren.com/some-see-more to watch the story unfold.